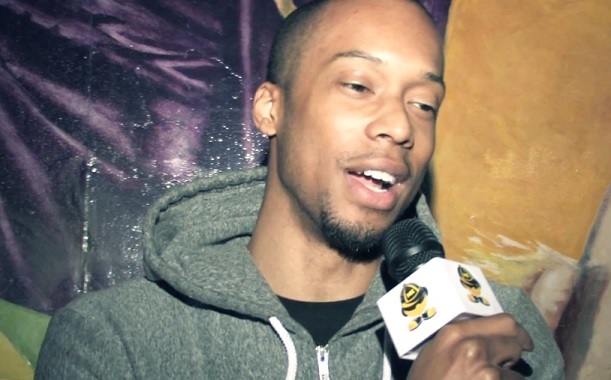 Detroit’s Black Milk catches up with NEHipHop and speaks on his new collaborative song with Black Thought. Milk explains to the camera on how he was able to reach out to the respected rap veteran and acquire a verse for “Codes & Cab Fare” which is featured on his new album No Poison No Paradise. Black Milk also touches on a conversation he had with Black Thought following the song which may lead to a future collaboration between the two artists. Before heading out, the rapper-producer takes the opportunity to address his relationship with Sean Price. This entry was posted in Interview, Video and tagged black milk, black thought, hip hop, Interview, rap, Sean Price. Bookmark the permalink.